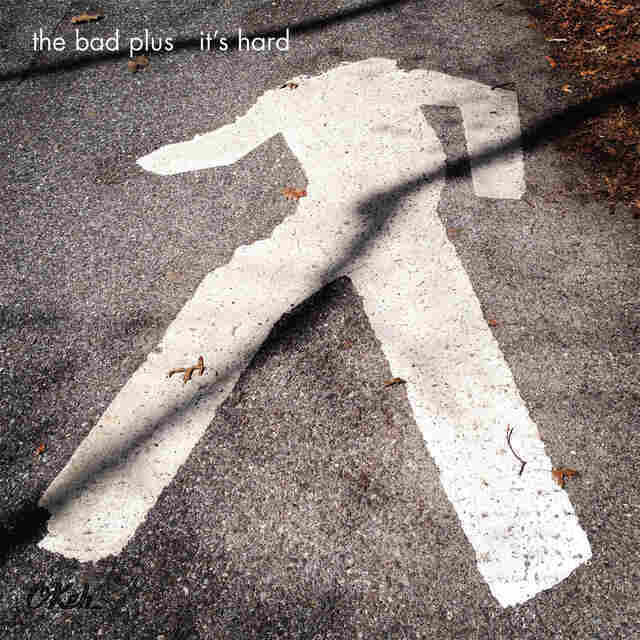 Review: The Bad Plus, 'It's Hard' The leaderless piano trio became famous for its cover songs more than a dozen years ago. Now, an all-covers record finds an established and quirky band once again testing its powers of interpretation. Here's a tip for jazz musicians that works better than it should: If you wish to be noticed by people who use words, play some covers. Not standards, but songs from a more recent era of popular music, or something else left-field. Even today, it stands out from mainstream practice, which shifts gradually over longer durations. It moves the playing field away from the nuts and bolts of your playing, where our critical lexicon is generally impoverished, to your signaled influences and decision-making, which are much easier to talk about. At the very least, it tends to be amusing. It was especially true in 2003, when a high-energy, quirky, leaderless trio of white guys from the Minnesota-Wisconsin hinterlands issued its first major-label album, These Are The Vistas. That album by The Bad Plus powered the previously jazz-insider band to modest mainstream success in a hurry, and because any 21st-century artist that dares to achieve mainstream success is thrown into jazz's merciless and incompletely informed court of popular opinion, it was talked about a lot. The chief talking point was that out of 10 tracks, three were pop covers — a statistic that launched more than a few thinkpieces. Why these songs? What does it say about our genre construct? What does it all mean? These days, such border-crossing behavior is more common. (The four-chord Nirvana hit "Smells Like Teen Spirit," among the Vistas covers seemingly least suited to coverage, has recently been embraced by a number of higher-profile jazz artists.) Meanwhile, The Bad Plus spent much of the following decade-plus underlining its bona fides in jazz-community participation (in part as trenchant essayists and comedians) and original composition (when not adapting the occasional 20th-century classical landmark). It's still Reid Anderson on bass, Dave King on drums and Ethan Iverson on piano; it still likes to put a hitch in a commanding drumbeat or overgrown dissonance into a cleanly struck piano line; it still brings it live. After more than a dozen years spent touring the world, The Bad Plus' covers gambit seems much less like thirst for provocation than hunger for adventure. So, yes: The Bad Plus' new album, It's Hard, is all covers. There's no particular overarching aesthetic to the selection. It encompasses alternative rock from the '00s (Yeah Yeah Yeahs, TV On The Radio); hits of the '80s (Prince, Cyndi Lauper, Peter Gabriel, Crowded House); a piece from free-jazz hero Ornette Coleman and one from a spiritual descendant of saxophone-blowing and melody-shaping, Bill McHenry; and some other unlikely idiosyncrasies (Barry Manilow). Neither is there a formula for approaching these songs. Some seem like acts of reinvention, disassembly and re-engineering (Kraftwerk sans motorik beat); others amplify the existing energy the best a mischievous acoustic piano trio can (Johnny Cash as a shuffle after too many drinks). These covers, like those of 2003 or any since, are not "ironic" or "novelty." Somewhat naive, maybe; impishly tweaked, likely. But they're not high art looking down upon low art, or lifting it into its realm. If anything, Anderson, King and Iverson are pop agnostics who offer some fundamental respect toward each song, its creator and its potential. Their project always seemed to be foremost about applying an original dialect to any song, whether generated internally or absorbed, processed and rearranged. In that light, It's Hard feels like an intensive self-examination: a long-running band testing its powers of interpretation with whatever comes to mind. And it tends to be amusing.